One and two bedroom fully equipped ski- in condominiums in Town. Hot tubs, sauna, laundry, meeting room, massage, ski rental discounts, free parking and free WiFi. This extraordinary mountain home is the perfect setting for your next Colorado vacation. Whether you are going with family or friends, The Lodge at Timber Creek is set up for maximum enjoyment. A world-class skiing destination, Breckenridge is the place for a family mountain getaway during any time of the year. The area is a haven for outdoor activities and when you stay at Breckenridge vacation rentals, it is an escape from city crowds and expenses and the most convenient getaway you can ever have. Breckenridge rentals and Colorado ski rentals are available in options suitable for any family's needs and provide a base for beginning a day's worth of adventures, and for returning to a pleasant and relaxing space. Miles of ski trails are tailored to novice and pro skiers in the mountains surrounding Breckenridge. Family vacations can also be filled with activity during the summer months as well. Visit the Breckenridge Fun Park for an adventure full of mountain biking, roller coasters, rock climbing, and other outdoor activities that will entertain the entire family. If you so choose, the family can enjoy some leisure time at Breckenridge vacation rentals, so the down time can be as pleasurable as the fresh mountain air that pervades across the Rocky Mountains. Even cook a healthy family dinner in the kitchen. Breckenridge is the place for adventure. Hiking trails abound, from leisurely walks to rocky climbs. You can choose from any level of difficulty to pick the optimal hiking experience. Water savvy families with kids can also take a whitewater rafting trip down a river. Such a fast paced adventure might leave mom craving for physical rejuvenation at a spa, which there are several of in the area. The mental and physical relaxation of staying at Breckenridge vacation rentals is far different from the typical hotel or motel vacation experience. The extra amenities included make the trip far more worth it in terms of cost and convenience. There are many adventures for kids as well, such as climbing walls, ice skating, and the Mountain Top Children's Museum with many imaginative exhibits for young kids. Leisure time at Breckenridge rentals and Colorado ski rentals can be enjoyed whenever you want. However, there is plenty to do in town. Breckenridge is full of shops to browse and restaurants with fine food and prompt service. The picturesque scenery is visible wherever you go, and your time at Breckenridge vacation rentals is sure to be both relaxing and memorable. Marvel at the outdoors or appreciate the leisure time you can have in your own private space during a family vacation in Breckenridge. 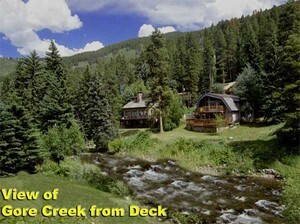 Contact an owner of Breckenridge vacation rentals soon to talk about the best options for the perfect family vacation. The lovely accommodations range from luxury to comforting environments that make any sized family feel right at home. Satisfy the family vacation budget and expectations by choosing from Breckenridge rentals and Colorado ski rentals of the perfect size. Wake up relaxed, enjoy the day's adventures, and return with the same peace of mind; the experience will be something you remember for a long time. Interested in More Breckenridge, Colorado ? Check out nearby Copper Mountain , Dillon , Georgetown , Keystone , Silverthorne , Vail .